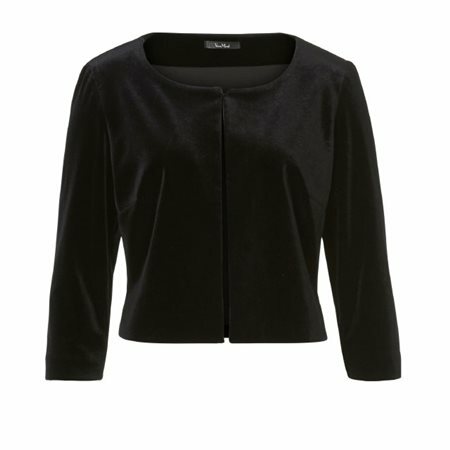 Vera Mont create beautiful occasion wear that looks great at a wedding, party or special event and this gorgeous velvet jacket could be worn to any of these occasions. The jacket has elegant elbow length sleeves and a pretty rounded collar, it closes with a single diamante button at the front. Wear it over dresses or trouser and blouse combinations, either way it will complete your look in sophisicated style.